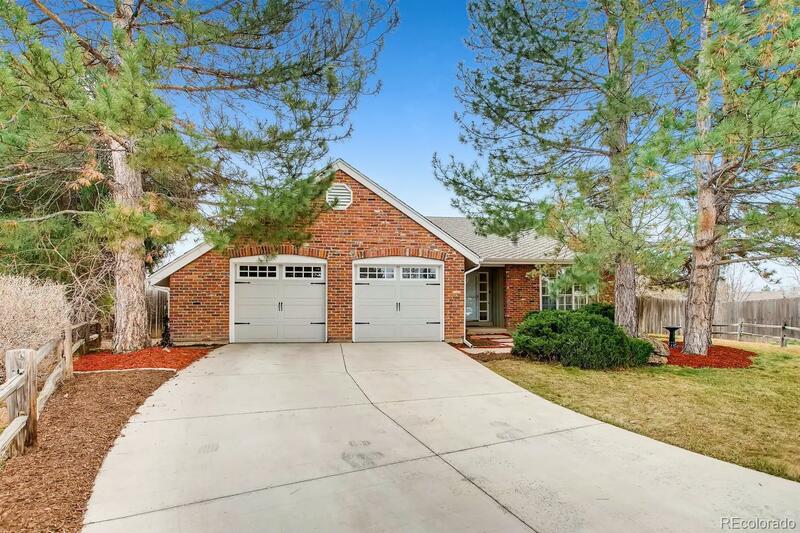 This large, rare ranch home is located on a cul-de-sac in the desirable Willow Creek neighborhood and in the Cherry Creek School District! New, neutral flooring and paint throughout, ready for your personal touches to make this your own! This home boasts 2 fireplaces, a wood burning stove in the living room, a deck overlooking the 1/3 acre lot and a finished, walk-out basement with a bar and pool table included! New driveway in 2013, new water heater in 2015, exterior paint in 2015, new roof in 2016 and new garage doors in 2018! Close to Park Meadows, easy access to I-25 and C470. Beautiful community offers pool, clubhouse, tennis courts and easy access to trails. Seller is including a 1 yr Home Warranty! Priced to sell so you have room for improvements...don't miss out on this opportunity to live in this amazing community!